In honor of International Mother Earth Day this week, we would like to express our love for the planet we all call home. Hacienda Tres Rios Resort, Spa & Nature Park has always been and continues to be dedicated to sustainable tourism and caring for the environment. In February Hacienda Tres Rios celebrated World Wetlands Day by hosting a group of primary students from a local school to learn the importance of the mangrove and its significant role in preserving the health of the local ecosystem. For many years, Hacienda Tres Rios has commemorated International Wetlands Day through various activities such as photo contests, mangrove preservation workshops, and the donation of 2,000 mangrove plants for the Laguna de Nichupte Reforestation Program. To commemorate World Water Day in March, Sunset World Resorts & Vacation Experiences organized two days of trash collection on the beaches of three of its Hotels in Cancun and the Riviera Maya, including Hacienda Tres Rios. The enthusiastic participants used gloves, rakes and plastic bags to collect the trash and waste products found along the beaches – mainly cigarette butts, snack and plastic bags and glass and plastic bottles. Each year in March Hacienda Tres Rios joins the Earth Hour initiative by “going dark”. This year Earth Hour took place on March 29 from 8:30 to 9:30pm local time. Hacienda Tres Ríos explained the global movement to its staff members and guests and many areas of the resort went dark for one hour but were lit up with torches and candles for a special Mayan fire and drum show. Our nursery is home to 2,700 plants including 11 endangered species. The reduction of sunlight in rooms lowers the need for air-conditioning. Reduction of energy use is achieved with in-room sensors to shut off lights when rooms are empty. Air-conditioning systems are cooled with cold water from deep wells. Heat emitted from air-conditioners is used to heat water in the resort eliminating the need for boilers or the burning of fuel. 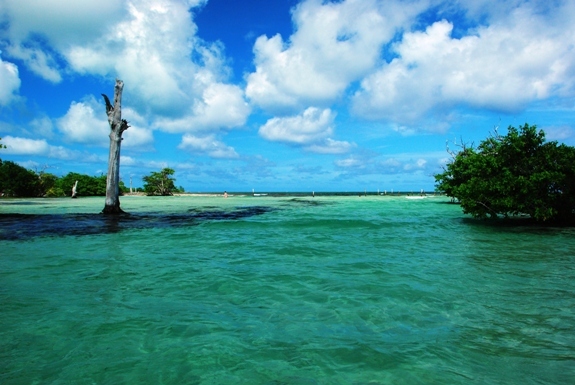 A reforestation of over 50,000 plants and 108 acres of mangrove forests was completed to restore hurricane damage. Only desalinated and filtered sea water is used throughout the resort. I want to visit sustainable resort Hacienda Tres Rios Resort, Spa & Nature Park!